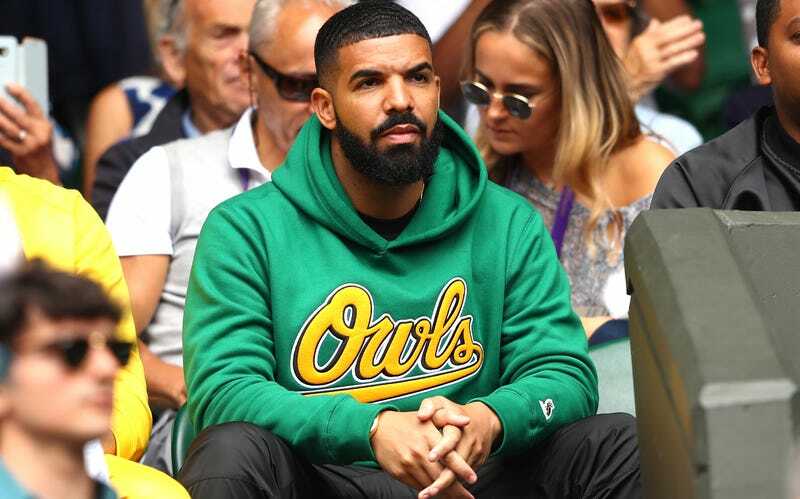 On Tuesday, Serena Williams’ ex, Drake, was spotted in the Wimbledon crowd watching her play her quarterfinals match against Camila Giorgi (whom she tidily beat in three sets). The scene feels straight out of 2015, when the two seemed to be laying the groundwork for a romance after being seen making out at a Cincinnati restaurant. E! News reports that the two were “romantically linked” for the first time in 2012. But really it’s 2018 and times have changed! Williams’ daughter with husband Alexis Ohanian is nearly one year old. And Drake has a child too! Almost didn’t recognize him because all white dudes with salt-and-pepper beards look like off-duty Jon Stewart to me, which is absolutely my cross to bear.